Last night my family's home caught fire in Van Alstyne, thank God everyone is safe. But a lot of their belongings are damaged, tell also need to relocate to another place while the house is rebuilt. The house itself was insured however all of their belongings were not. This is a horrible thing to happen to anyone, my sister was home baking and thanks for her quick thinking both herself and the animals are safe. 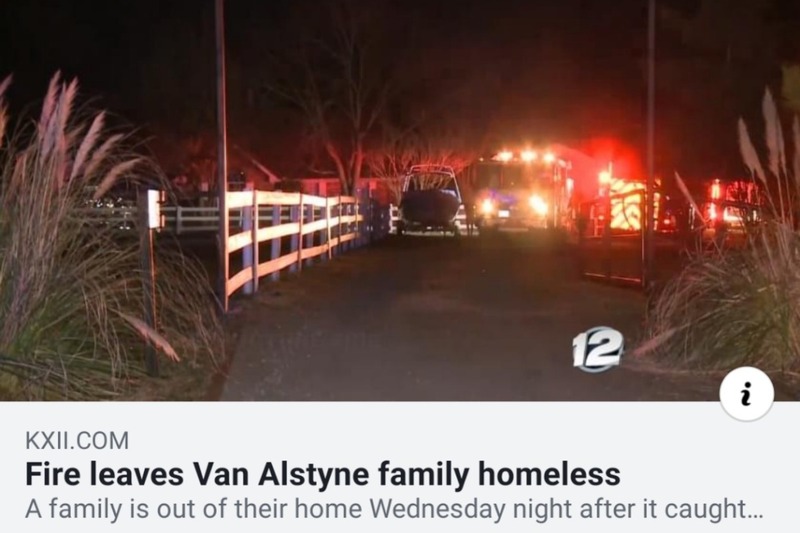 We're trying to raise money to help offset the financial burden of the fire and relocation of my family, any money you donate will go directly to the family to help them get reestablished. Thank you for any donation you can make and if you can't donate please share.